You can easily find these name on Coke bottles at your local Walmart, up front by the registers or coolers. Our store had a HUGE bin that I was able to go through and find exactly what I needed. 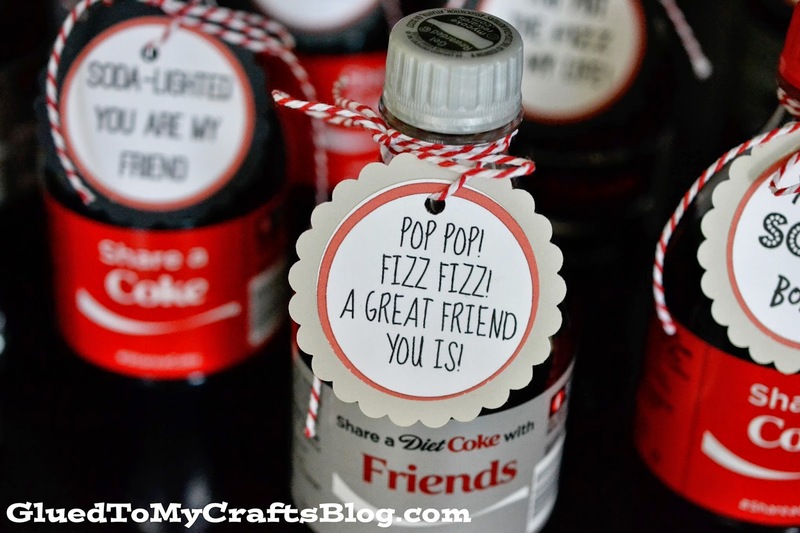 You can find names that range from Sarah, Matt, Emily etc OR you can find phrases like “Share a Coke” “Friends” and “Family” written on the bottle label. From what I could tell – there was a little bit for everyone, so don’t be discouraged if you don’t find the “perfect” bottle right away. Now for the real reason for this post. I want YOU to take the extra step when it comes to gifting these bottles. 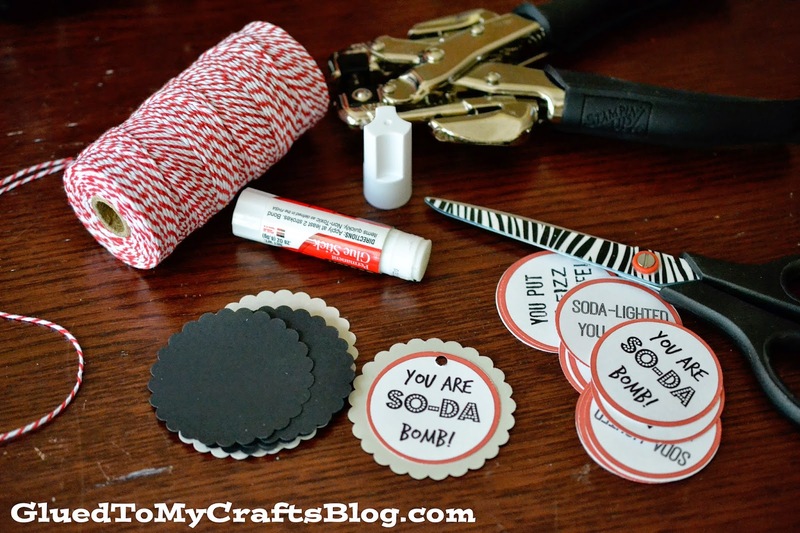 Below you can find simple instructions & the download for FOUR gift tags I made specifically for my bottles. 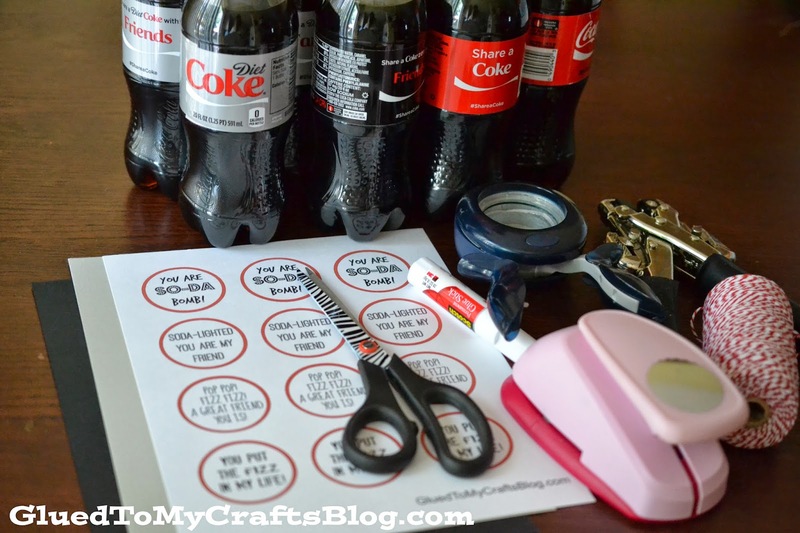 All you need to do is to download, print the file on white cardstock and attach to your bottles. It’s so simple but yet a great way to surprise & treat someone today! Ready to take on the challenge of paying it forward today? 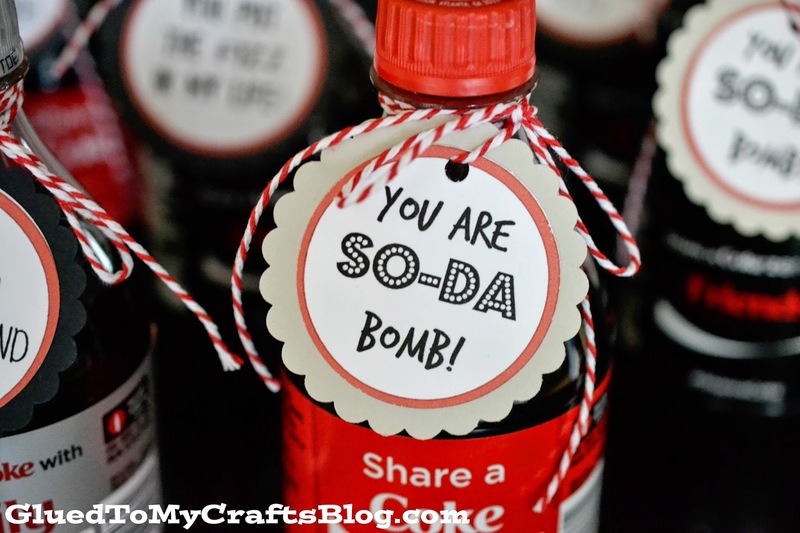 Keep scrolling for ALL the easy craft details and the free “soda themed” gift tag download! 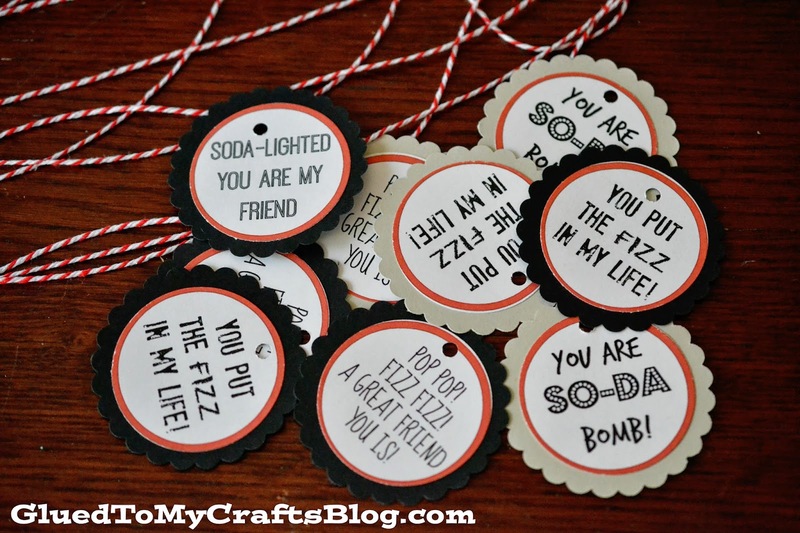 * Download and print the free gift tag printable on white cardstock. 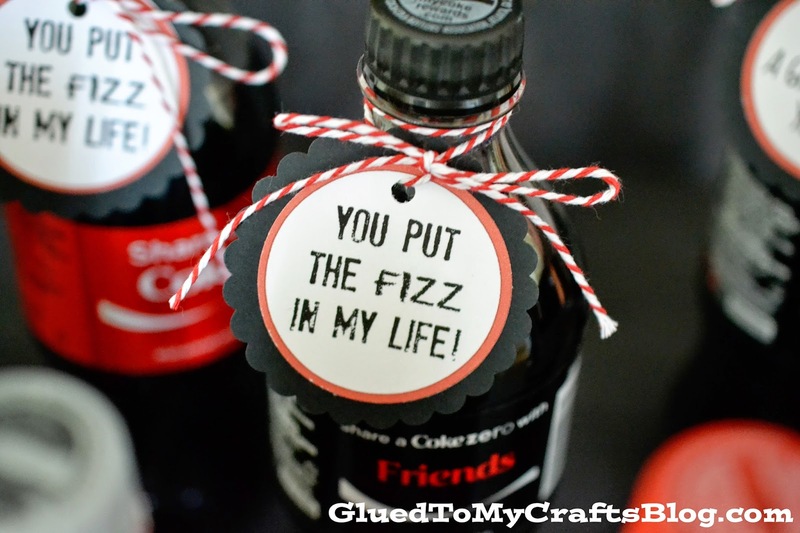 * Using a circle punch, punch out the gift tag. If desired – glue to another punchout to give it flair. * Then using your hole punch, punch a hole on the top of the gift tag. 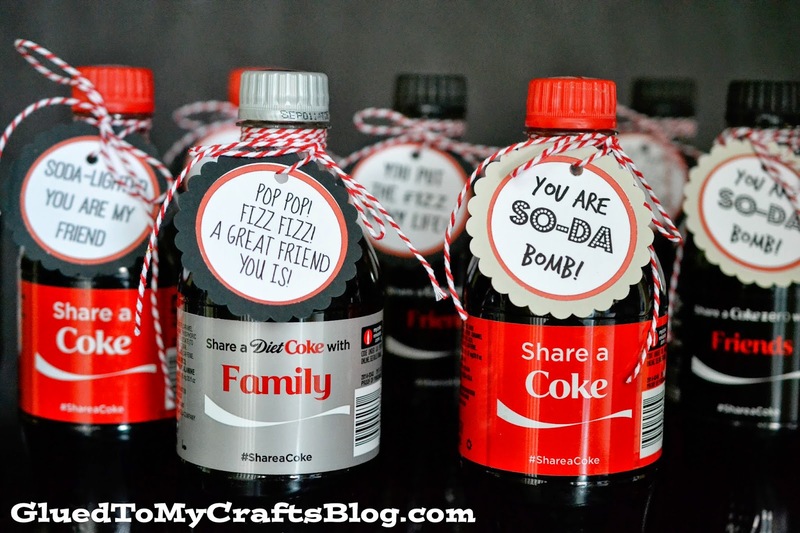 * Cut & string your twine through the hole and tie onto your Coke bottle. * Pass on the bottles to friends, family and random people to put a smile on their face. Aren’t these fun? Now don’t forget you can also surprise your co-worker, your child’s teacher or even reward your favorite serviceman for all they do. These bottles are also a great conversation starter to reconnect with an old friend. 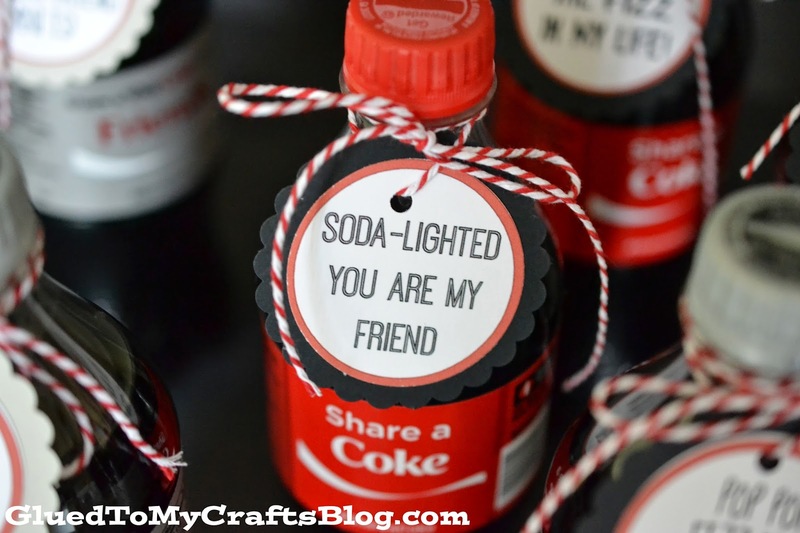 And while you are busy paying it forward – be sure to treat yourself to a Coke too!